Color White, Silver, Blue, Etc. Keeping in mind the ever-evolving requirements of our clients, we are devoted towards offering an optimum quality range of Plastic Oil Container with Spout 6TR, 7.5 ltr , 10 ltr , 15 ltr, 20 ltr , 26 ltr. Keeping in mind the ever-evolving requirements of our clients, we are devoted towards offering an optimum quality range of Plastic Oil Container with Spout 6TR, 7.5 ltr ,10 ltr , 15 ltr, 20 ltr , 26 ltr. 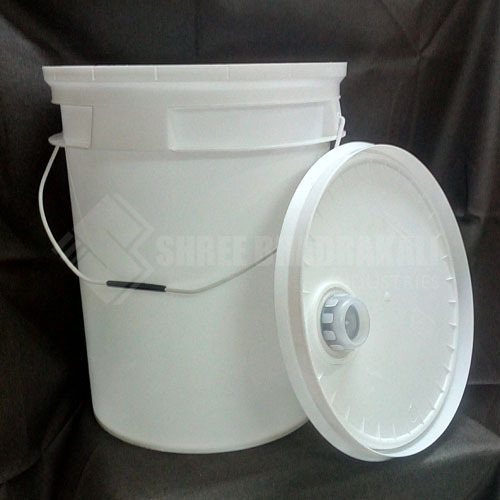 We are engaged in manufacturing, wholesaling and trading a complete solution of Plastic Balm Container, Plastic Pesticide Container, Oil Containers, Tablets Containers, etc.